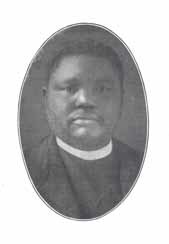 Horace Talbert, b. 1853. The Sons of Allen: Together with a Sketch of the Rise and Progress of Wilberforce University, Wilberforce, Ohio. The Sons of Allen: Together with a Sketch of the Rise and Progress of Wilberforce University, Wilberforce, Ohio. Xenia, Ohio: Aldine Press, 1906. Xaba, Jacobus G., d. 1904. African Methodist Episcopal Church--South Africa--Clergy.